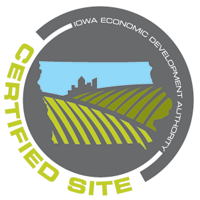 Located along Interstate 80, the Eastern Iowa Industrial Center (EIIC) offers site-certified development sites with access to rail, road, utilities, and the adjacent commercial airport. 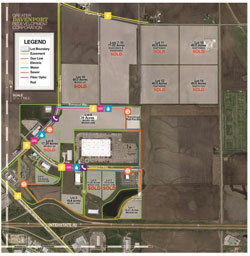 The EIIC and surrounding area is home to several national corporations, including a new Kraft Heinz Foods high tech manufacturing facility, Sterilite Corporation’s newest manufacturing and distribution facility, and a John Deere Warehouse facility. 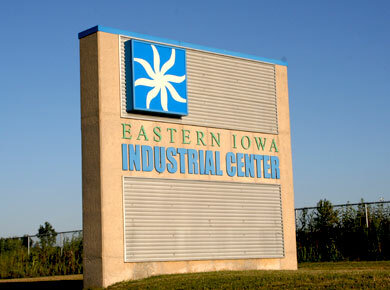 The John Blong Technology Center, operated by the Eastern Iowa Community College, is located in the EIIC and assists companies with workforce and technology training needs. 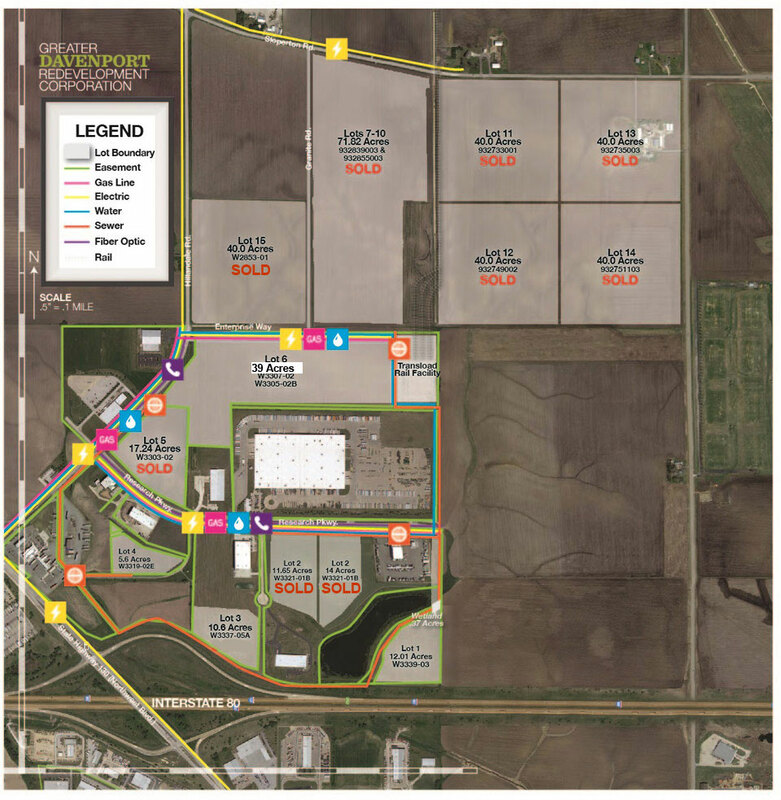 The Greater Davenport Redevelopment Corporation (GDRC) is a public/private, non-profit organization that owns the sites available in the EIIC. The GDRC can provide certified site information and confidential, real estate acquisition for projects on an aggressive schedule. 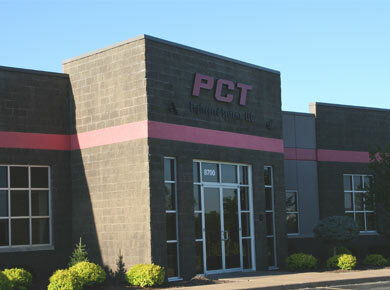 All utilities on site; electrical rate is 6th lowest in U.S.
On the border of Iowa and Illinois, Davenport is a part of the larger Quad Cities region. Centrally located for logistics, Davenport is less than 300 miles from Chicago, St. Louis, Des Moines, Omaha, Minneapolis, Cedar Rapids, Madison, and Milwaukee. 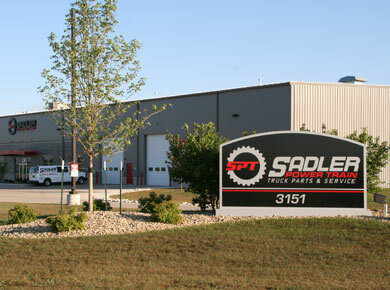 It is less than a 2 hour drive from Cedar Rapids, Iowa City, Muscatine, Dubuque Iowa and Rockford Illinois.